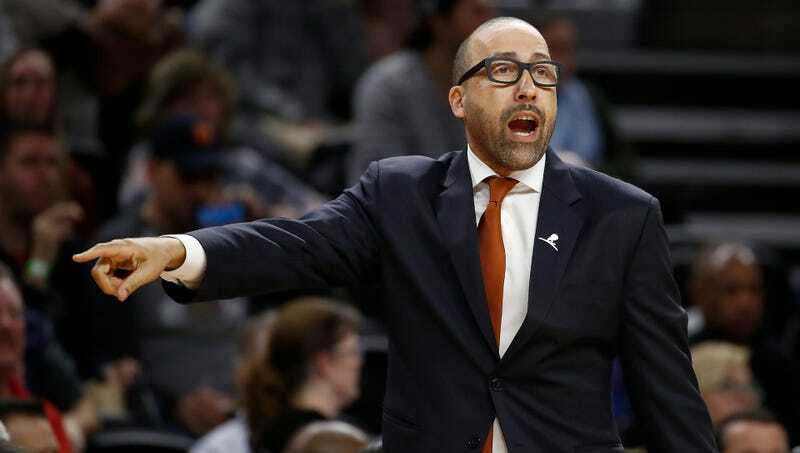 Grizzlies Coach David Fizdale On His Activism: "I Want People To Be Uncomfortable"
Grizzlies coach David Fizdale spoke with TNT’s David Aldridge this weekend, and he got into the history of Memphis, the need for solidarity, and why he won’t stop fighting for justice. “My agenda is simple — I want those things out of our city, out of public view,” Fizdale said by phone Saturday. There’s a growing movement in Memphis—as there is across the country—to tear down monuments to Confederate soldiers, and the Greater Memphis Chamber of Commerce and Memphis Mayor Jim Strickland have voiced their support of the plan. The Tennessee Heritage Protection Act states that no monument or statue “dedicated in honor of a military conflict” can be removed, which is a bit of historical dishonesty that elides the fact that most statues, including the specific ones Fizdale mentions, were built decades after the Civil War as monuments to white supremacy in the face of rising black equity. Fizdale noted the slanted bit of historiography that allows the statues to stand. He also rightly noted that the fight will be bogged down unless white people and moderates join in. Fizdale, whose grandfather fought in World War II, says he has the support of the team. If they’re uncomfortable, well, that’s the point. Grizzlies Coach David Fizdale On Confederate Statues: "Take &apos;Em Down"